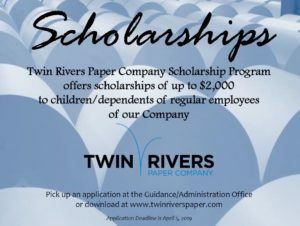 Twin Rivers believes in giving back to the community. Our 2018 Scholarship Program, Community Roots, is designed to provide up to 15 scholarships to students entering full-time studies at a designated trade, business or technical school, community college or university. 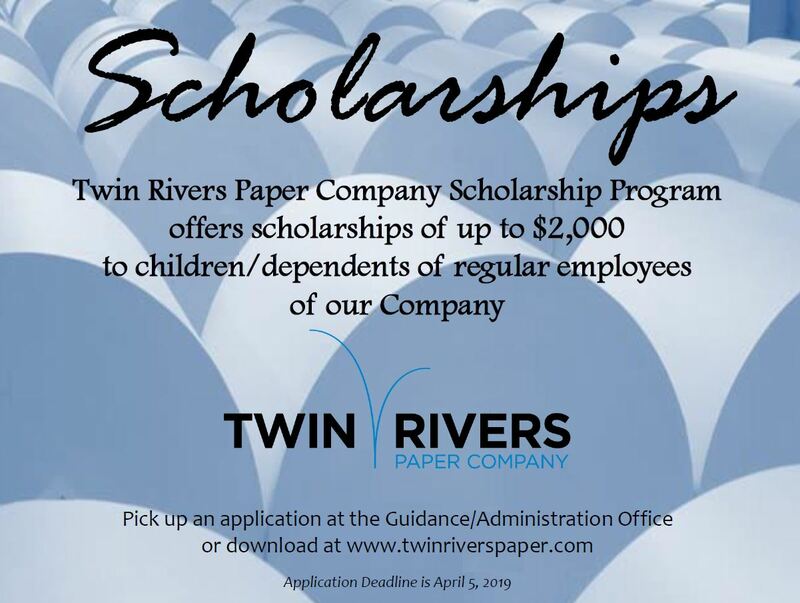 Recipients must be the child of a regular full-time employee of Twin Rivers Paper Company. The scholarships are valued at up to $2,000. A committee of external parties to the company will select the scholarship recipients. We are looking for students with proven academic ability, leadership, service to the community, involvement in extra-curricular activities. Strong consideration will be given to the applicant’s future intentions to live and work in Northwestern New Brunswick and Northeastern Maine. We’ve put together an overview document to answer questions and provide additional information. Click on the application below and complete. Applications must be postmarked no later than April 5, 2019. Good luck!